The important of the keywords is undeniable. You can not think a great content that drives enough traffic without keywords. You should not think that keyword is the most important issue of a great content. There are different issues that make a great content. But the keyword is a big issue that reaches you to the customers. We research keywords using several SEO tools, but all the tools are not really productive. The authority claims they will provide very few but there are some tools those provide everything claimed. KWFinder is one of the most trusted keyword research tools. In this KWFinder Review, I will show you why you should select this tool. If you are looking for the best Google Keyword Planner alternatives then I suggest you this tool. I know SEMRush is an excellent overall SEO tool that can be best for competitors analysis and Site Audit. The keyword option is also good in SEMRush. But you will get better features in KWFinder for Keyword Research. I have used different SEO tools such as Google Keyword Planner, SEMRush, MOZ, KWFinder and more. I think KWFinder is the most beautiful and perfect keyword research tool. At the beginning, I used Google Keyword Planner. At this moment Google Keyword Planner has some problems so many people try another more powerful alternative keyword tool. Keyword Finder is one of the best Google Keyword Planner alternatives. In this KWFinder Review, I am going to share the details about KWFinder. KWFinder is a top keyword research tool that runs by Mangools. This tool has become my most favorite keyword research tool. KWFinder is one of the best alternatives to Google Keyword Planner. It will be really easy to you finding the most profitable keyword if you have KWFinder. Why Should You Use KWFinder? You need a perfect keyword research tool. You have a great article but you have selected wrong keywords then you can not rank in Google. Millions of articles published every day but all these can not rank. Some articles can reach the top. The keyword is one of the most important ranking factors. Google Keyword Planner hides the real search volume, keyword competition is not available but you will get everything in KWFinder. 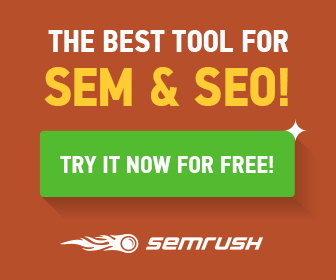 SEMRush is a great SEO tool. It is one of the best SEO monitoring tools, especially for competitors analysis. You can find out all the weak points of your competitors. Now you need great keywords that you can easily beat your competitors. Using KWFinder you can easily produce perfect and trending keywords. KWFinder is also a perfect alternative to Long Tail Pro. There are different types of keywords such as Single Word, Head or Short Tail, Long Tail and LSI keywords. You can find any type of keyword using KWFinder. KWFinder has everything you need. If you want a handy and the richest keyword tool then try this one. Most beautiful user-interface and really easy to use. No software and downloads needed. You can use any time and any place. Find the most profitable long tail keywords. Search volume for any keywords. Keywords difficulty and SEO difficulty. Change languages for keyword research. Average Cost Per Click of a keyword. The level of competition in PPC scores 0-100. Domain Authority and Page Authority from Moz database. Moz Trust and Rank of a URL. The number of external links. Facebook and Google Plus option. KWFinder Review: How To Use? KWFinder is a really handy tool. It has super easy user-interface. You will get a lot of options of your searched keywords. Here I will show you how to use this tool. The dashboard is really simple and eye catching. It has three different options. Suggestions: It will find keywords on Google suggestion base. Autocomplete: It will complete your keywords just like Google Search. If you enter “Best Blogging” it is an incomplete keyword but KWFinder will show you all the relevant and complete keywords such as best blogging sites, best blogging platforms and more. Enter Your Keyword: Type your desired keywords in this box. Anywhere: You can select your targeted country. Any Language: You can select your language. Now visit KWFinder and search for Best Blogging and click Find keywords. I haven’t completed my keywords but KWFinder shows the complete results with a lot of relevant keywords if you select Autocomplete option. When you search for any keyword, it will show you a screen that divided into two sections. If I search for blogging, I will get the below results. The right section shows the difficulty of this keywords and it also shows the domains and other details those have already ranked top on Google using this Blogging keyword. Here the SEO difficulty score is 61 out of 100. So you should not select this keyword because it will be really hard to rank in Google. On the left section, you can see the searched related keywords, trend, average monthly searches, CPC, PPC and the SEO difficulty. Here are a lot of profitable keywords but the most of these keywords are not perfect. The difficulty level is hard. If you want to get a lot of relevant keywords just go UberSuggest and search for Blogging. A big collection of Blogging relevant keywords. Pick these keywords one by one and search in KWFinder until you find your desired keywords. You should select such keywords that difficulty level is easy. KWFinder Filter is another excellent feature of KWFinder. Using this features you can easily find your desired keywords. Here you can add min. & max. searches, CPC, PPC, and SEO difficulty. This powerful feature provides you something that you exactly want. Just click on Results filter and then enter your details requirements. You can easily get an idea which keywords you should select. KWFinder displays numbers for calculating the difficulty level. Here is the Keyword SEO Difficulty. Customer Support is really an important issue for any service. I have no doubt that KWFinder is one of the best tools. Since it is a smart tool, their customer support should be solid. They have live chat support if you need. For email support, they will response you within 24 hours. If you face any problem, you will get the best support here. SERP Checker: KWFinder offers another deep analyzing tool called SERP Checker. This tool helps you to analyze and research SEO activities of your competitors. When you enter a keyword, you will get all the details about that keyword such as top performing pages, DA&PA, Facebook&Google Plus likes, rank, and Est. visits. It clearly points out the strongest and weakest points of your competitors. SERP Watcher: You can analyze your own keywords using this tool. You can see the position and performance of your keywords on search engines. Analyze your contribution in different countries, mobile, and desktop. You will get these two tools if you signup for KWFinder. Pricing is another basic advantage of KWFinder., It is one of the cheapest SEO tools. It has two different pricing plans Annual & Monthly. You can save up to 50% if you if you signup for Annual Plan. I hope you have enjoyed this KWFinder review. From my personal experience I can say this tool is one of the most useful keyword research tool. Very few tools are accurate like KWFinder. It has a lot of analyzing options so that you can research everything from the root point. You can easily find out your competitors strengths and weakness that help you outrank your competitors. KWFinder is the accurate keyword research tool. Finding the most profitable keyword is really easy using KWFinder. This tool has everything that you want. Just enter a keyword, you will get a lot of related keywords, monthly searches, CPC, PPC, SEO difficulty and more. This tool does everything for you, just select your best keyword.